Patrick coaches the locally based Tribalistic Triathlon Team in Winnipeg, Canada. In addition to the team coaching responsibilities, he coaches a squad of advanced/elite athletes on a daily basis. His coaching business has expanded to include writing online training programs for web based triathlon personality 'Triathlon Taren' and his 'Trainiacs'. Each season Patrick accepts a small number of one on one clients for personal coaching. Patrick started was lured away from the sport of volleyball while completing a Physical Education degree at the University of Manitoba. His first season of Triathlon was 1995. With his education background in exercise physiology and kinesiology he quickly moved from rookie athlete to a group/team coach. His coaching has since led him to become an NCCP certified coach and Triathlon Canada Coach Developer. He continues to coach a local Triathlon Team, write programs for an online Triathlon portal, offer sport specific clinics and coach individual athletes from beginners through professionals. Patrick continues to be a passionate competitor at the Olympic and 70.3 distance. Despite a respectable race resume that includes an Amateur Canadian Championship, he is most proud of some of the off-the-beaten-path endurance adventures he has accomplished, in particular, long distance swimming across Lake Winnipeg (31km), and swimming down the Red River through the city of Winnipeg (37km). 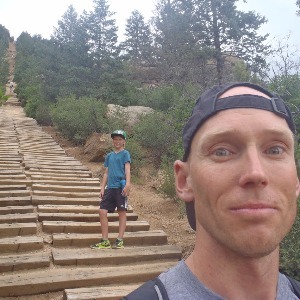 Between raising a family and continuing to teach physical education and coaching multiple sports between two schools, Patrick manages a coaching business and finds time to hold back the years. During his years of coaching, he has developed a model and unique understanding of the requirements and challenges facing athletes living in Canada and the bordering states. Athletes who face training conditions consisting of long cold winters and short hot summers will thrive under his wisdom and guidance. Athletes need only a passion for the sport. Success. Coach Patrick Peacock has been notified of your message.